San Joaquin General Hospital is offering exceptional opportunities to registered nurses with acute care experience to join a team of health care professionals dedicated to a philosophy of excellence in providing health services, education and professional training in an integrated system that values quality in life, family interaction, and respect for both clients and employees. When completing your application, select the type of position(s) for which you want to be considered for employment. Shifts may be either AM, Nights, or PM shifts depending on department needs. In addition, the shifts include coverage for weekends and holidays. The Staff Nurse III is a journey level class and is expected to possess a working knowledge of nursing care principles and practices and to be capable of performing difficult assignments in accordance with nursing competency standards. *Please note that as a condition of employment, candidates selected for these units must successfully pass a California Department of Corrections and Rehabilitation (CDCR) background investigation conducted by the CDCR. Candidates must maintain their CDCR clearance for continued employment in these units. Prior to employment, candidates must successfully pass a pre-employment physical exam and drug screening. Initiates the nursing process and performs journey-level nursing care, including therapeutic measures prescribed by medical authority within the limits of the Nurse Practice Act and department policy. Evaluates the total nursing needs of the patient including physical, psychological, spiritual, cultural and socio-economic; participates in planning, coordinating and administering total patient care; evaluates symptoms, reactions, and progress; participates in preparation and implementation of written nursing care plans for individual patients; may participate in or lead therapy groups. Participates in the orientation, teaching, leading and evaluating of assigned para-professional and/or technical personnel; participates in teaching patients the principles of health and self care. May facilitate insurance billing and other reimbursement-related procedures by processing appropriate paperwork and making necessary internal and external contacts. May consult with therapeutic multi-disciplinary team in reviewing patient progress and success of treatment plans. May provide crisis intervention, crisis stabilization and follow-up therapy; may make crisis referrals as required. Keeps records of patient’s health care treatment and/or hospital stay; prepares reports and standard forms. Works with patients and families through teaching, counseling, and other methodology in order to help them understand, cope with, and accept illness, treatment, and therapy; assists in self care strategies. May function as a charge nurse; may assume full responsibility for the supervision of a shift in the absence of a Staff Nurse IV, Staff Nurse V or Nursing Department Manager; may supervise and assist nursing personnel in the performance of patient care. Participates on committees as assigned; as assigned, may represent the Department of Health Care Services to outside agencies. Experience: Six months as a registered nurse in an acute care hospital. Licenses and Certificates: Current registration as a nurse in the State of California as issued by the California Board of Registered Nursing.  Special Requirement: Possession of a San Joaquin County Mobile Intensive Care Nurse (MICN) certificate, Advanced Cardiac Life Support (ACLS) certificate, completion of an approved ICU/CCU training course, or other approved training or experience may be required for assignment or continued assignment to specialized nursing units. Theory, practices and techniques of nursing; safety principles and practices, applicable Federal and State laws as related to patient care. Lead and assist members of the health care team; maintain a high standard of care; deal with patients empathetically and respectfully while performing treatments prescribed; instruct patients in self care and preventative health strategies; follow oral and written instructions of technical and professional nature accurately; establish and maintain effective working relationships with others; maintain a safe facility environment; maintain cohesiveness and communication as a team during high stress; establish and maintain effective customer service; maintain accurate records and prepare routine reports; participate effectively in performance improvement processes; provide and promote a positive learning environment. Mobility-Constant walking; frequent operation of a keyboard; standing for long periods of time, pushing/pulling, bending and squatting; occasional sitting for long periods of time, running, climbing stairs and climbing; Frequency of Lifting-Frequent restraining lifting/turning of heavy objects or people; Visual Requirements-Constant need for overall vision, color and depth perception, hand/eye coordination, and field of vision/peripheral vision; frequent reading and close up work; Dexterity-Frequent holding, reaching, grasping, repetitive motion and writing; Hearing/Talking-Constant hearing of normal speech; frequent hearing and talking on telephone or radio; occasional hearing of faint sounds and talking over public address; Emotional/Psychological Factors-Constant concentration and public contact; occasional exposure to hazardous materials; frequent exposure to emergency situations, including trauma, grief and death, decision making, working weekends and nights; occasional work at heights, working alone and overtime; Environmental Conditions-Frequentexposure to assaultive behavior by clients; occasional exposure to noise, cold/heat, and hazardous materials, dirt, dust, smoke, fumes and poor ventilation. Part-time employees who meet the appropriate eligibility criteria may receive either a differential in lieu of benefits or may receive pro-rated benefits if the employee works at least 41 hours per pay period. Pro-rated benefits available include: health insurance; dental insurance and vision insurance. Employees electing pro-rated benefits also earn pro-rated vacation and sick leave.